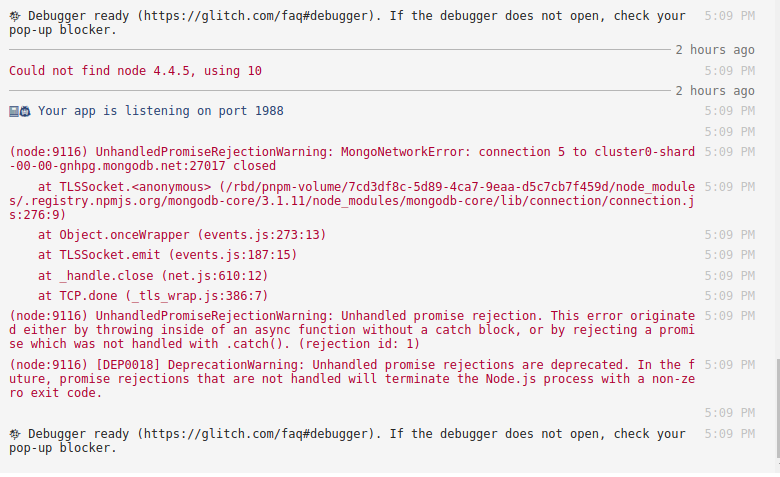 Could this be why it is not able to connect to Mongoose? FCC: mlab is no longer accepting new users. Does this mean these challenges can no longer be completed? Can you please look into this? im having the same issue as user @mscanza. That you have to use Mongo Atlas meaning i can’t follow the instructions in the challenge. Does anyone know when the (apis-and-microservices) challenges will be updated or a quick fix to be able to complete the challenge? Thank you. I have just confirmed that the lessons still work even after the changes made from the acquisition of mlab by mongodb, these instructions need to be fully changed however, I will look to submitting a PR or see if one hasn’t already been submitted. 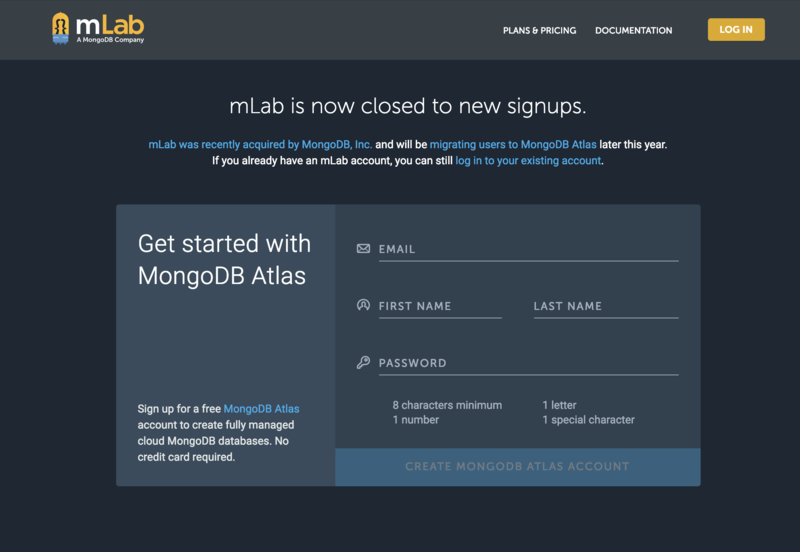 Create your MongoDB Atlas account. As soon as you login, it will walk you through building your first cluster - may take a few minutes to complete. Then following the green tab in the bottom left of the screen, click on Create your first database user, follow the instructions and create a user with a password. In the same green Get started tab click on Whitelist your IP address, warning here, glitch will not connect if you don’t allow all IP addresses, which is what I did for it to work. Click Connect to Your Cluster > click connect in the sandbox window, and then click connect your application in the pop up window, then copy the connection string, and paste it in your .env file in glitch and substitute the password you provided in step 3 for the <password> area , and you are good to go. Test the first lesson and it should pass. Thank you Dereje1 this was extremely helpful. Whitelisting all ip addresses fixed it. I forgot to mention. I’m on Ubuntu 16.04. 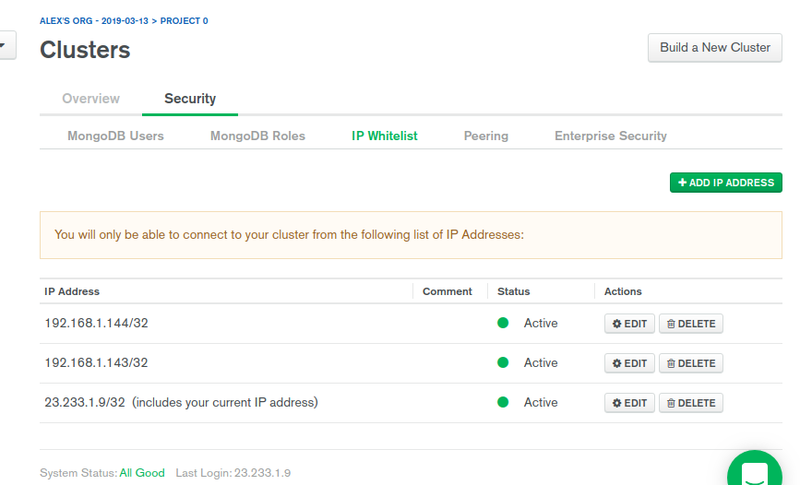 Did you whitelist all ip addresses in MongoDB atlas as pointed out in the link I gave you ? I think all steps suggested in your links were taken. IP addresses where white listed. Here is a link to my Glitch. Thank you Good Sir. It’s working fine now. thanks for the tip on allowing all ip addresses on glitch, i was running around in circles trying to figure out why it wasnt working!